272 Scarboro Crescent has sold! After 4 busy open houses, numerous showings and multiple offers, we have two happy sellers. Congratulations on the sale of your beautifully renovated home! 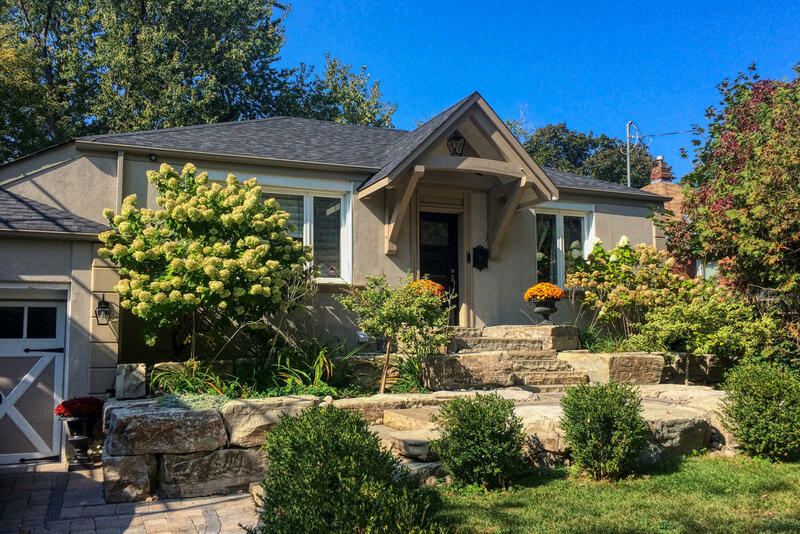 272 Scarboro Crescent is a beautifully redesigned home! With two levels of exquisitely renovated and extended living space, it is situated on a gorgeous 50 ft lot! A true gem where every detail was meticulously addressed. Impressively landscaped, the front garden features 5 tonnes of Armour stone and creates a distinguished introduction to this property. The elegant front portico and nicely finished exterior welcome one to the open concept main level of the home that is enhanced by the warm hue of stunning wide plank fumed white oak floors. Stylish with lovely natural light, the living room is a delightful space. It is slightly separated from the formal dining area, stunning gourmet kitchen and family room. The latter two spaces being part of the addition completed in 2014. The kitchen cabinetry, appliances, marble countertops, subway tile backsplash and fireplace surround are designer selected and above and beyond expectations. There are four skylights, a sun tunnel and double doors to the back deck and garden adding the beauty of natural light to these finishes and the main level overall. On this level there are also two wonderful bedrooms and an incredible bathroom with heated floors that was renovated in 2018. It is breathtaking and features an elegant soaker tub and top of the line fixtures. On the lower level there is a spacious media room, a games room, a gym, an office, a light filled bedroom, another washroom and a separate laundry room. The washroom features a stunning double glass shower, heated floors and similar top-drawer fixtures. Everything has been finished to perfection and what is below the surface is ever so impressive as relates to insulation and overall comfort. The fully fenced in backyard features more fabulous landscaping and an impressive shed ideal for the gardener in the family or as a workshop! There is also a gas line for a barbeque on the back deck. This neighbourhood is sought after for good reason. Chine Drive School is very highly regarded as an elementary school. It has excellent standards and is very personalized. The area boasts many walking trails and parks including the Scarborough Bluffs Tennis Club and Bluffers Park Marina – a full-service marina as well as the overall feeling of a close-knit community of supportive families and Cliffside Village retailers.